Play FREE Texas Holdem and Omaha Poker Games at Poker Live Pro – the latest poker app by GameDesire!Enter the world of free, online poker! Join Poker Texas Holdem Live Pro to feel the thrill of real entertainment! Advance with your poker chips and buy into high-stakes poker tables. Compete against the best poker players and prove you’re a true poker star! Poker Texas Holdem Live Pro invites you to join adrenaline-filled poker tournaments and single-hand battles as you bluff, bet and win with your poker hand.Additional Features to Enhance your Poker Experience★Professional: Extensive poker stats, poker table variety, true multiplayer experience.★Reliable: Similar high-level poker game experience on all platforms and devices.★Progressive: Very generous poker tournament offerings with a supportive bonus system.★Incredible Design: Top-of-the-line visual interface, creating a very slick poker game design.★Game-Aspects: Multi-tabling poker strategy possibilities coming soon!Play Poker Texas Holdem Live Pro – The BEST FREE POKER experience on all devices! Step into the Poker ring with the masters! Whether you just started to play or you’re already a poker combinations superstar, Poker Texas Holdem Live Pro suits all levels. In this Texas Holdem poker game, you will be able to start your poker journey at the stake level of your choice. Use our Happy Hour Bonus and cash in on your poker-winning handsPut on your Poker Face and start playingPlay like the pros with a large variety of poker rooms and top-of-the-line poker tournaments. Get ready to play anytime with thousands of online poker players. With our Welcome Poker Bonus and Free Daily poker chips, you will never wait to play! 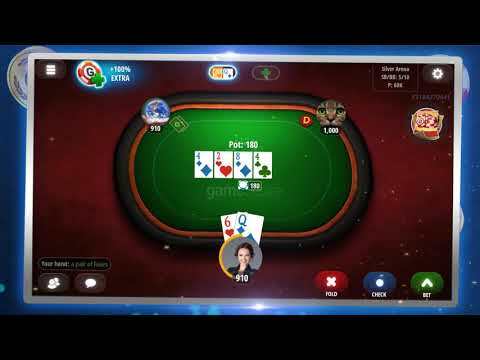 Poker Texas Holdem Live Pro is full of jackpots, special bonuses and achievements – so you can start-off small and gradually improve your Texas Holdem poker rankings!Cash-in on Poker Bonuses!True Multiplayer Texas Holdem Poker card gameChallenge your friends to a card game or play against any of the thousands of worldwide poker stars. You can invite other poker players to your poker table, chat with them and exchange poker game strategies. With cash tables in a range of amounts and daily poker tournaments, you will feel the exciting rush of going All-In!Texas Hold’em Poker games come to life with Poker Live Pro by GameDesire™ – the most professional poker app you’ve ever played!The game is intended for an adult audience.The game does not offer “real money gambling” or an opportunity to win real money or prizes.Practice or success at online poker or social casino gaming does not imply future success at cash poker games or real money gambling.